HVL main gate, L on Alpine, L on Highridge Court to end of street, sign on. OR HVL back Stateline gate, R on Alpine, R on Highridge to end of street. 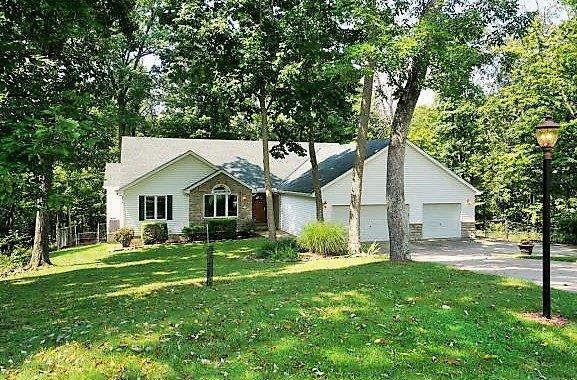 Ranch nestled against mature wooded greenbelt on 2 lots at end of cul de sac st. Open vltd GR/Kit/Dining combo w/brick FP. Custom updated kitchen. Master BR w/vltd ceiling, gas FP & megaBA! Finished walkout LL offers FR w/wet bar, full BA & 4th BR, plus storage. 3+ car garage, concrete parking area & fenced yard. Screened porch, deck & patio.